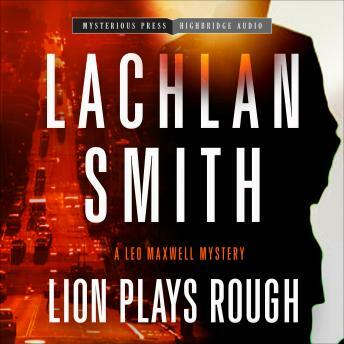 Leo Maxwell thinks he's found a career-making case when a mysterious woman nearly runs him down, then appears at his office to hire him to defend her brother on a murder charge. One problem: Leo hasn't actually met the client when he sets out to investigate what seems like a hot tip on a burgeoning scandal in the Oakland Police Department. When he presents evidence of deep-set corruption in the Department to the District Attorney's office, he quickly learns that all is not as it seems, beginning with Leo's client and the alluring woman who hired him. Leo's "client," as he learns to his humiliation, is actually represented by Nikki Matson, one of Oakland's most notorious gangland lawyers. What's more, the client knows nothing about Leo being hired to defend him and claims not even to have a sister.Soon after Leo realizes that he's been set up by unknown persons to be the number one enemy of both the police and the gangs, he also discovers he's also being framed for Matson's murder. He knows he's a marked man unless he can bring those responsible to justice. Bodies pile up as Leo closes in on his tormenters, while at the same time, they are closing in on him.